Fantabulous! This is the first -3- comic that makes any sense, more, more, more! Unsuspecting? If I was a neighbourhood, I might start to get suspicious if it was daytime out front and nightime out back. Very nice apartment block. Reggie, -3- lives in the twilight zone. Reg, good spotting. But it IS an unsuspecting neighborhood. Nobody here noticed the night/day interaction. MO, excellent work! You got the reason why. 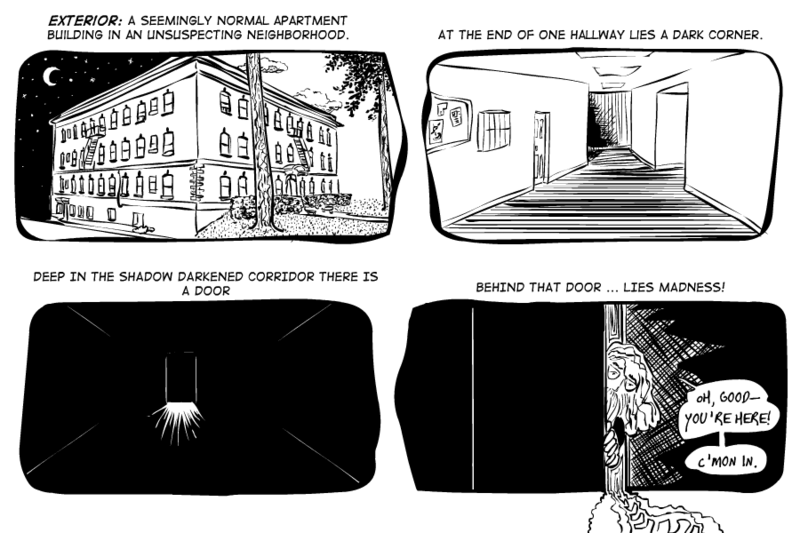 Hence the doorway in blackness - rather than a door in space, to keep from being too obvious.